The Dyeables Lovely is a mid heel, dyeable sandal. 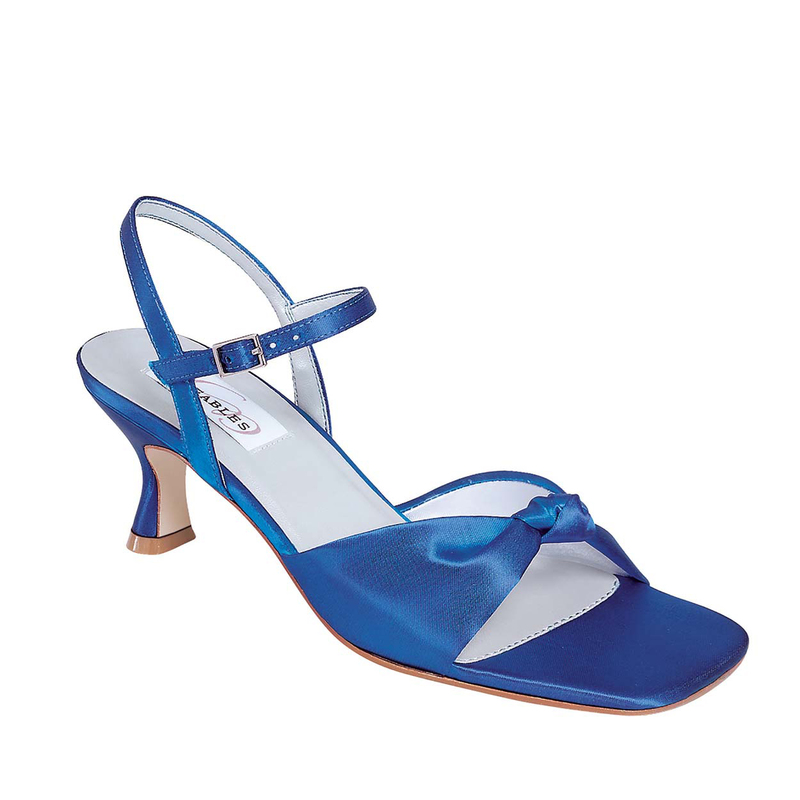 This shoe has an adjustable ankle strap and knotted front. 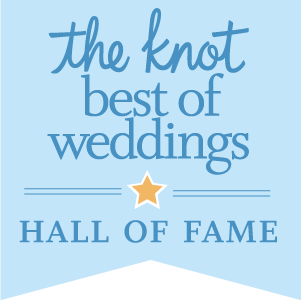 In order to create the knot, the satin needed to be unlined. This is why this sandal is so comfortable and soft on the foot! 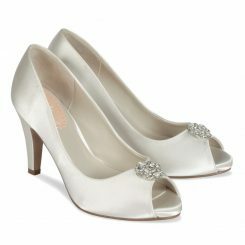 The Lovely is available in White Satin. 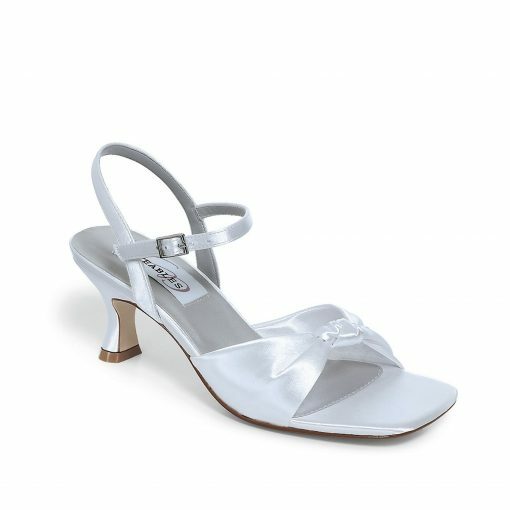 WHEN THIS SANDAL IS DYED, A SLIGHT GRADATION APPEARS IN THE FOLDS OF THE FABRIC WHERE THE KNOT IS TIED. 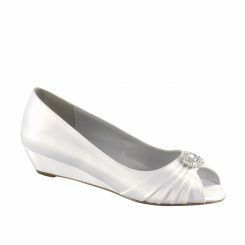 Dyeables Lovely white satin is an elegant shoe. 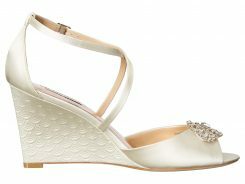 This shoe is great because it looks great with pants, skirts, and dresses. 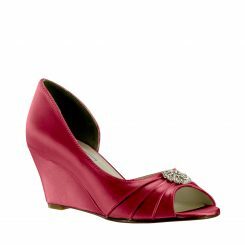 You will never have to worry about matching colors because we custom dye every shoe to perfectly match any color or swatch you would like. 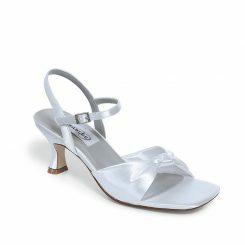 There is fabric shaped like a bow that lays across the front of the foot with a delicate knot in the center. 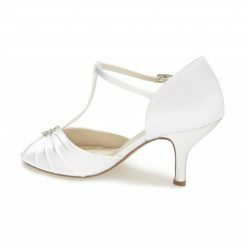 There is an adjustable ankle strap that completely wraps around the ankle, adding to the security of the shoe. 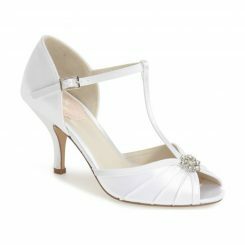 Lovely has the perfect heel height for dancing the night away as it is low and wide.